QUINCY — Today, Lt. 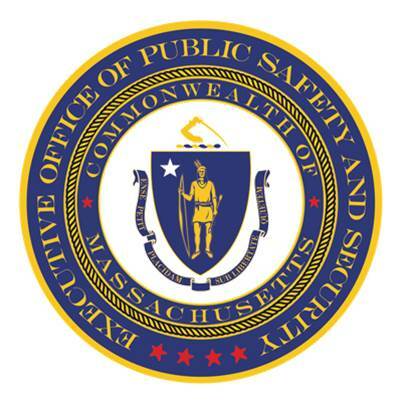 Governor Karyn Polito announced the launch of a pilot initiative in partnership with the Municipal Police Training Committee (MPTC) to provide local law enforcement with tools to support survivors of domestic violence and sexual assault and assist in gathering history and identifying risk and re-assault factors. In April 2015, Governor Baker signed Executive Order 563, re-launching the Governor’s Council to Address Sexual Assault and Domestic Violence. Last fall, the Council announced this year’s priorities with the launch of work groups in five priority areas identified by the Council and the administration. The Response and Assessment work group of the Council created Domestic Violence Assessment and Strangulation worksheets. The Domestic Violence Assessment and Strangulation worksheets were developed to assist municipalities, who are not part of high risk teams, by providing tools, training, and guidance in gathering the appropriate information in domestic violence cases. The worksheets will inform basic safety planning and services, bail decisions, conditions of probations, probation conditions and sentencing of an offender. These tools will also help Intimate Partner Abuse Education programs, assist in custody, visitation, 209A and any other civil matters where safety of adults and children should be considered. The worksheets give guidance on important information for law enforcement to gather when they are responding to survivors of domestic violence and provide them with protocols on disseminating information to those survivors on where they can get support, as well as document important information that may influence the ability to hold offenders accountable and increase safety for survivors and children. “This pilot program and the related training around the Domestic Violence Assessment Worksheet is a prime example of specialized programming that will add another layer to MPTC’s already robust Domestic Violence and Sexual Assault Training Programs, and we are proud to take part in this initiative to assist law enforcement and the survivors of domestic violence and sexual assault, ” said Secretary of Public Safety and Security Dan Bennett. “The next steps are to update the assessment tool and training based upon feedback from these departments and then to put this toolkit into the hands of all police officers statewide, along with providing them with the related training,” said Dan Zivkovich, MPTC Executive Director. The four pilot communities the work sheets are being launched in are Foxboro, Greenfield, Quincy and Woburn. Training for the program will begin at each police department in mid-April.